P&G BrandSaver has new coupons available! 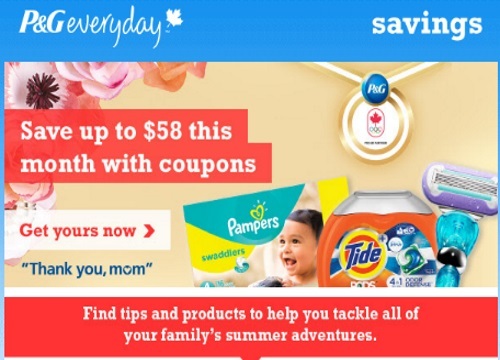 Save up to $58 on P&G family of brands with the coupons below! Get your coupons while they last, each coupon can be printed once per person. Click here to sign up for P&G Free samples and coupon alerts.